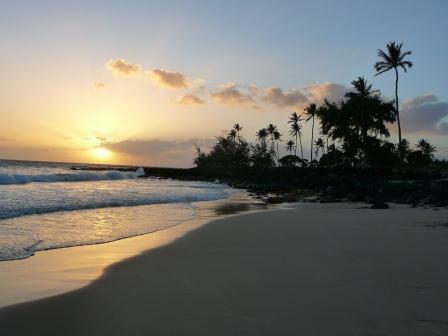 For such a small island (nearly circular with a 32 mi / 52 km diameter), Kauai features incredible diversity. Containing one of the wettest spots on earth, Mount Wai’ale’ale rises to a height of over 5,000 feet (1,524 m) above sea level and averages about 450 inches (11,430 mm) of rainfall annually. Only a few miles away, however, on the southern tip of the Garden Isle lies Poi’pu (or “Sunny Poipu,” as it is often called), where rain is rarely an issue. Home to famous Poipu Beach, Poipu’s semi-arid tropical climate features an almost perfect balance between the rainy northeastern part of the island and the desert-like west side. Adventures and activities abound in the Poipu area, so whether its swimming, snorkeling, scuba diving, sunbathing, golf, hiking, shopping, dining, or one of many other options you seek, you’re sure to find what you’re looking for. If you’re the adventurous sort, we can direct you to one of the nearby “hidden” attractions that many visitors never see. Most of Kauai is undeveloped, so there are plenty of these around, and we can help you find your ideal adventure. Secluded beaches, remote waterfalls, wilderness trails — Kauai’s got all that plus a lot more, and Sunny Poipu is the perfect home base from which to explore Hawaii’s Garden Island. If it’s dining or shopping you desire, Poipu’s got that covered too. 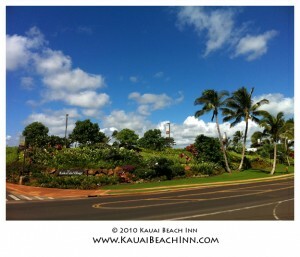 In fact, Kauai’s newest shopping plaza, The Shops at Kukui’ula, is directly across the street from the Kauai Beach Inn. A short stroll will take you to your choice of Merriman’s Kaua’i (fine dining), Merriman’s Downstairs Cafe (casual open-air café & pub), Tortilla Republic Grill & Margarita Bar, Josselin’s Tapas Bar & Grill, Dolphin Sushi & Fish Market, Living Foods Market & Cafe, Dude Dogs, Bubba Burgers, Uncle’s Shave Ice & Smoothies, Savage Shrimp, and Lappert’s Ice Cream & Coffee. Or relax in your room with a delivery pizza from Pizzetta in Old Koloa Town. Kukui’ula Market just down the road specializes in gluten-free products and baked goods for our guests with celiac disease or gluten sensitivity. A slightly longer walk or a short drive will take you to the Beach House Restaurant, known for it’s open air ocean-side dining and sunset views. Other nearby options include Da Crack (Mexican takeout), Brennecke’s Beach Broiler & Deli, Kalapaki Joe’s Poipu, Keoki’s Paradise, Roys Poipu Bar & Grill, Red Salt Restaurant, and too many other’s to mention here. Some of these require reservations, which we are always happy to make for you, but please provide us with as much advance notice as possible. You will also find plenty of gift, apparel, surf, jewelry, and other shops along with numerous galleries, spas, grocery stores, and just about anything else you might need. Bottom line? Poipu has it all! 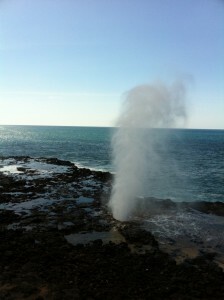 Come see for yourself what makes Poipu the ultimate Hawaiian vacation destination.